There is some very exciting news to share before I start talking about my uniquely decorated upside down iced cupcakes which I am call calling iced side down cupcakes. Actually these guys are the perfect recipe to share with you for this announcement. I have been chosen as a finalist for this year for Kidspot’s Voices of 2015. It is an honour to be acknowledged again this year as one of the top 100 online creatives in Australia, and one of the top 29 Food & Travel voices. This year it wasn’t just bloggers in the mix, but also those who share their voices through other online mediums like YouTube, Instagram, Pinterest and Facebook. Quite a large pond to be chosen from to make the final cut, and this little fish is over the moon to be acknowledged alongside such a range of amazing talent. A big thank you to the guys at Kidspot and those that nominated Belly Rumbles. My brain can be a crazy place at times. It goes from first to second gear in various directions. Especially when looking at gorgeous cakes and desserts by amazing pastry chefs like Anna Polyviou and Adriano Zumbo. I am whisked away by the mouth tingling layers of flavour and texture, how architecturally structured they look or just plain pretty. Then my mind goes into over drive as it calculates the work involved. I would need a couple of apprentices at Belly Rumbles HQ, or be working on that one cake for a solid week to get the results they do. This doesn’t dull the need to create something fun and easy at home. Which also has to tick the satisfyingly tasty box. This shifted my mind to the humble cupcake. Now I did say above that this is something for the kids. By that I mean big and little kids alike. 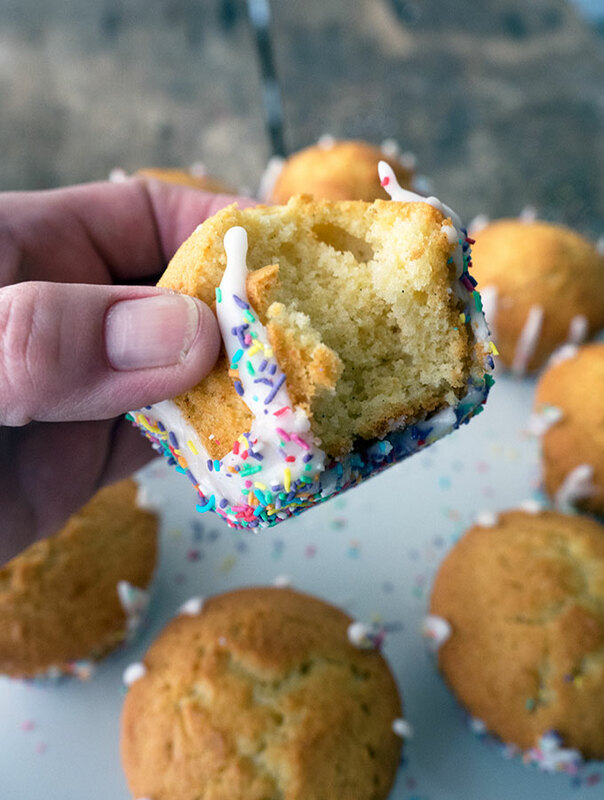 Simple to make with a one bowl cake batter that is then easily dolloped into cupcake papers. 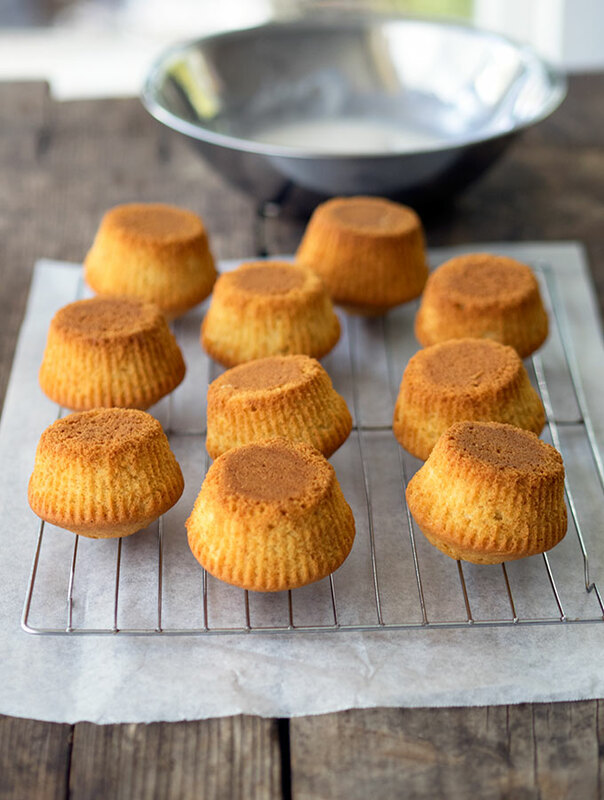 They are quick to bake and being smaller individual cakes, quick to cool down as well. Then you can let your kids go to town on decorating them however they like. No kids? Then you can go to town decorating them however your little heart desires too. You can be as fancy or as simple as you wish. That is the general beauty of cupcakes. 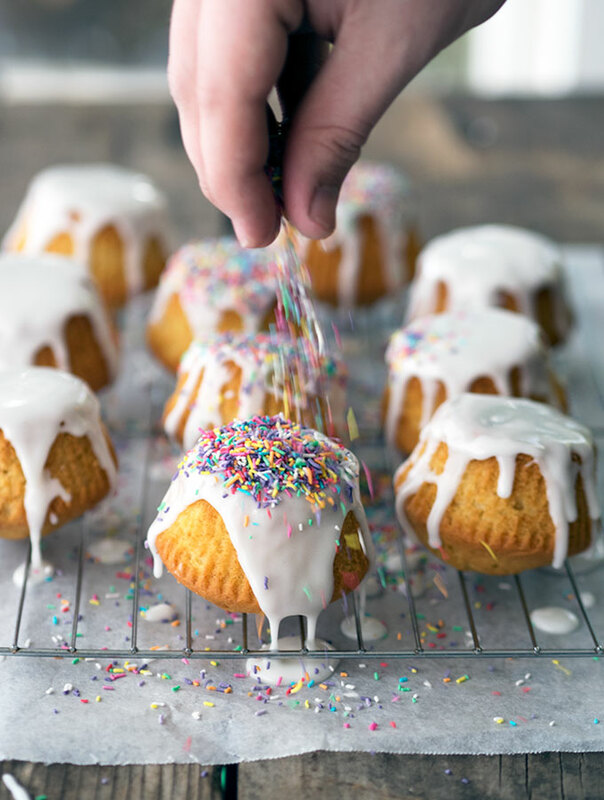 The idea of having the icing flow from the bottom of the cupcake to the top came to me when I was looking at some stunning cakes that had drippy style icing flowing down their sides. I thought, wouldn’t it be cool to see icing dripping up the cake in a shear act of defying gravity. The cupcakes themselves have a little lemon tang with some lemon zest. Are delightfully buttery and light as a feather. 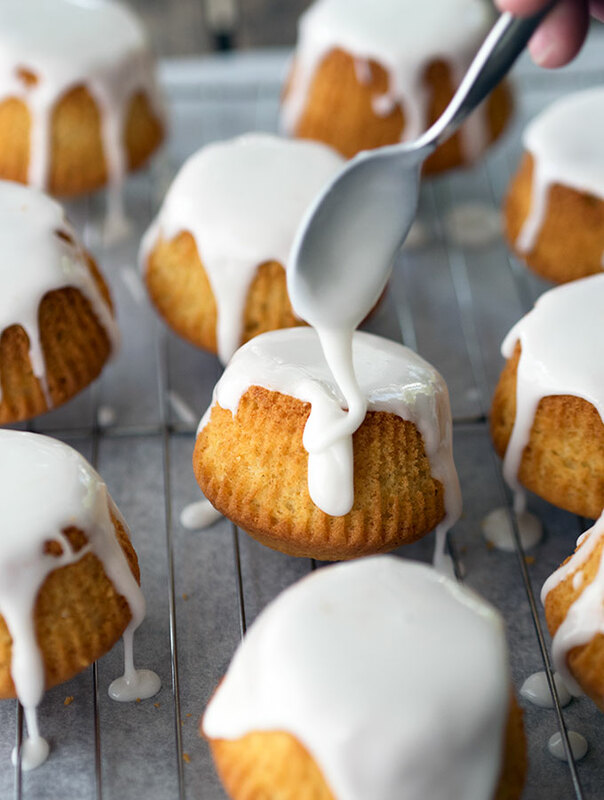 The lemon icing is sweet and tart, packed with fresh lemon flavour. 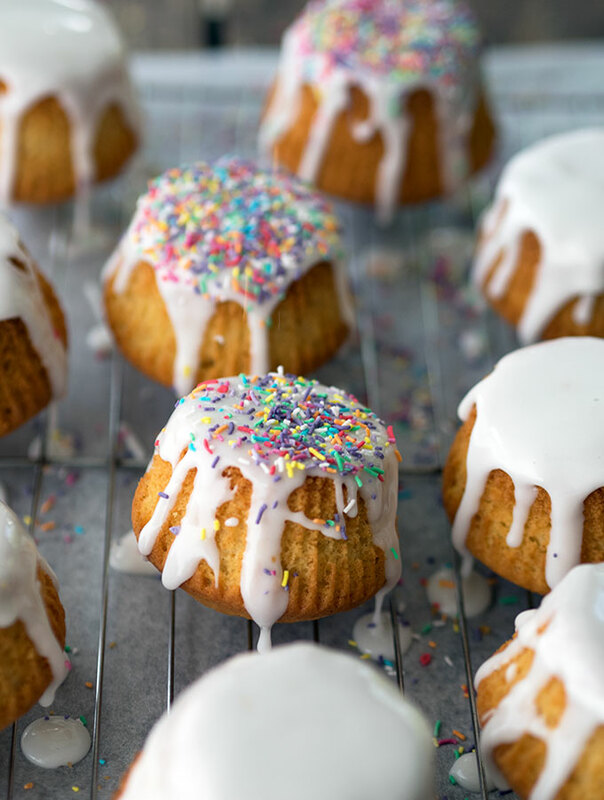 Upside Down Iced Cupcakes, so much fun for the kids they will love these! Preheat oven 180° C (350° F). 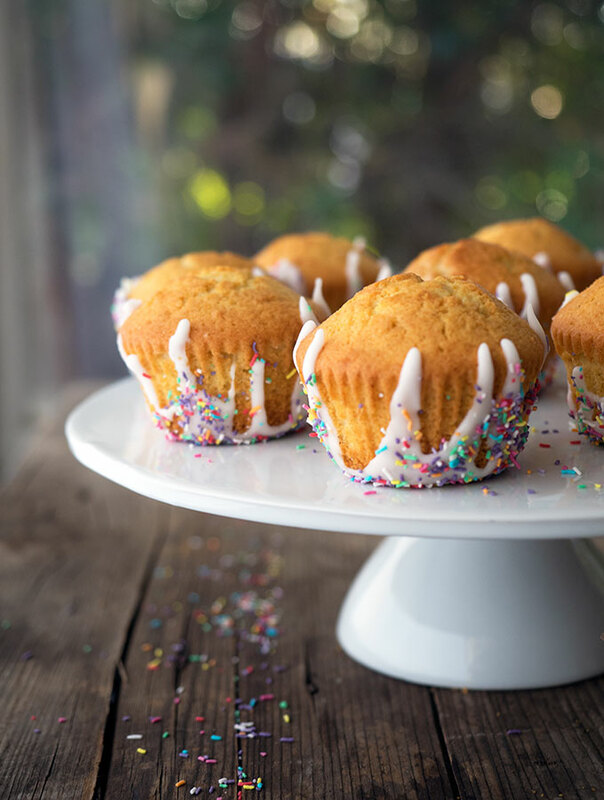 Place 10 large cupcake papers (muffin size) in 10 muffin holes in a muffin tray. With electric beaters or using your stand mixer, cream butter with lemon zest and vanilla, until pale and creamy, this will take a few minutes. Add sugar and continue to beat until mixed through thoroughly. Add eggs one at a time, continuing to beat after each addition until incorporated. Mix through sifted flour and milk until completely combined. Evenly distribute batter between the cupcake papers and bake in the oven for 25-30 minutes until golden and cooked through. 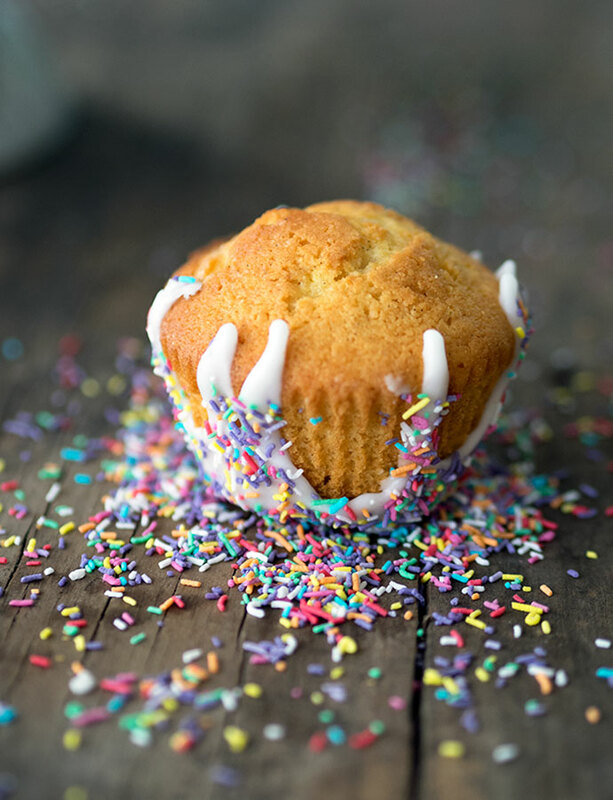 Once you remove the cupcakes from the oven, remove them from the cupcake papers immediately, don’t allow them to cool in the papers or the papers may stick to the cupcakes. Leave to cool thoroughly on a cake rack before icing. Once the cupcakes have cooled ice them. Sift icing sugar into a medium size bowl. Gradually add lemon juice a little at a time. Mix as you go until you reach the required consistency for the icing. 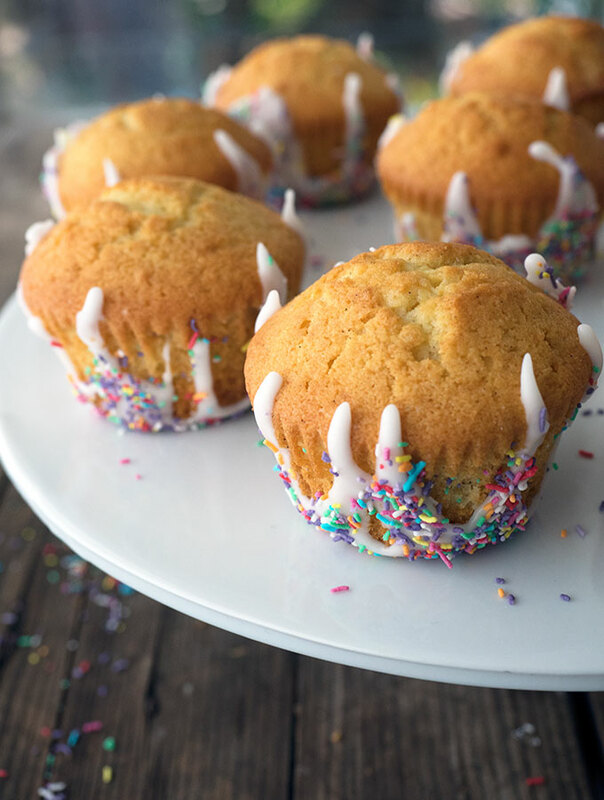 You want it to be rather thick, but still runny enough to dribble down the sides of the cupcakes. 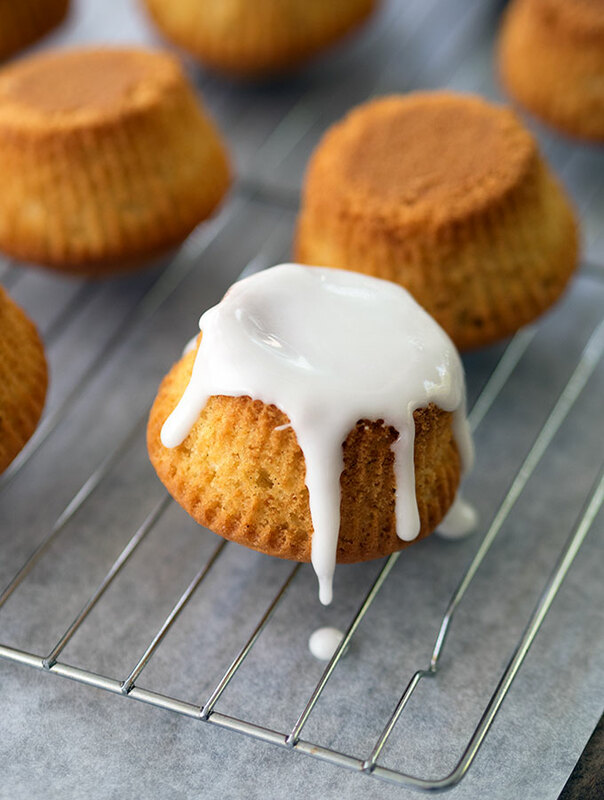 Turn cupcakes upside down and ice from the bases so the icing drizzles down the sides. 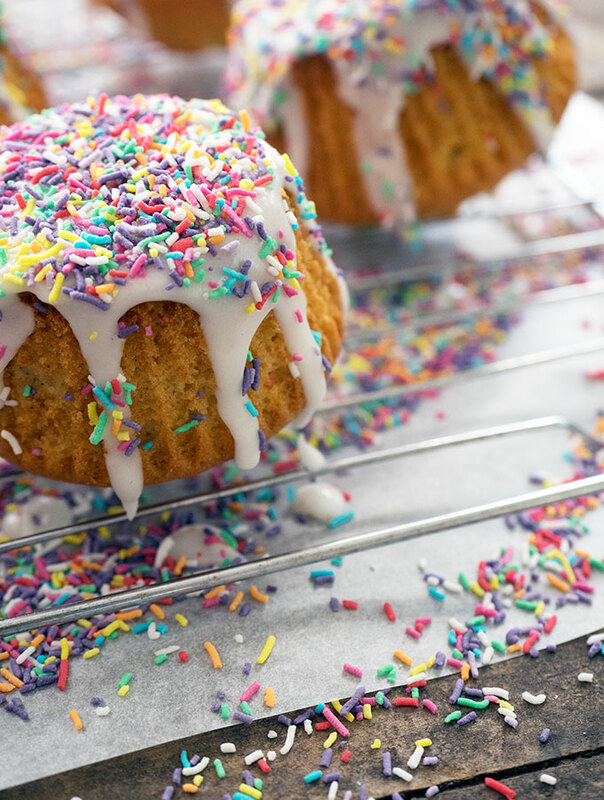 Sprinkle the sprinkles over the icing and leave them to dry. Once the icing has dried turn the cupcakes up the right way to serve. Now I am thinking about other gravity defying desserts I may be able to whip up! These are ridiculously cute! Funny how something so simple as swapping where you frost them makes them super elegant and fancy. Will definitely be using this idea for a dinner party dessert option this winter! Awesome blog. Nice cup cakes i like a lot. 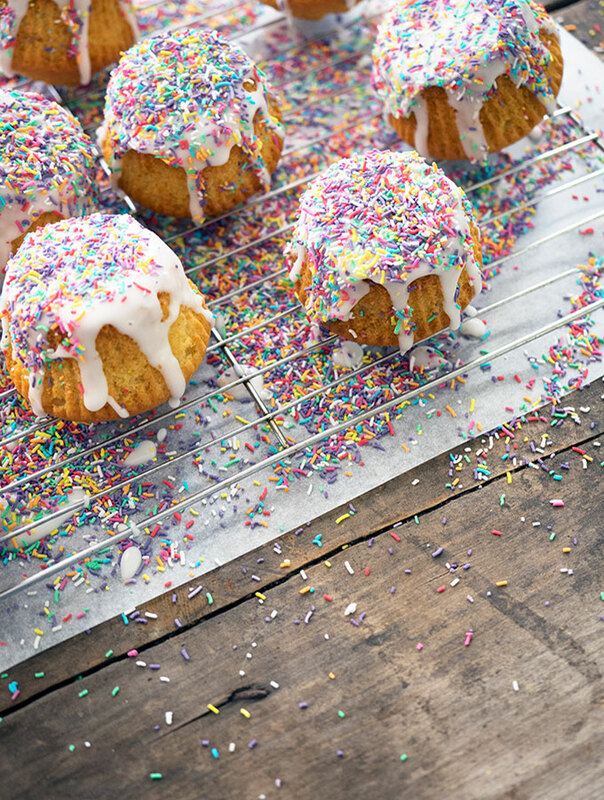 I like a ton of frosting but I can forgive anything with sprinkles on it! Very pretty looking cupcakes! I’m definitely going to try this recipe soon. Thanks so much Madiha, hope you like them when you try them, I am sure you will. how fun!!!! want to try it soon! I love these! What a fabulous idea! And I wouldn’t say they’re something just for the kids. I’d be delighted to be offered one (or three) of these, too! Just beautiful! Each year for my grandchildren’s (I have 7) I bake 172 cupcakes for their bake sale and I’m always looking for new ideas! I love this one! Oh my goodness that is a lot of cupcakes! I saw these earlier today and had to drop by – I simple adore them – how unique – such a great idea to flip ’em over and “frost” them! And, Congrats on being a finalist for this year for Kidspot’s Voices of 2015! Thanks so much for dropping by Shash and glad the cup cakes enticed you to do so! I love the idea of icing the bottom of the cupcake, this looks super cute! Definitely trying this out in my next baking journey. Awe thanks Byron, and I hope your cupcake monster loves them! What a great idea! I saw these on Pinterest about a week ago and pinned them… now I definitely have to try them! So festive! These are so fun! I love how non-conformist they are. They look delicious and the photographs are wonderful. That is a really cute and simple idea! I will def have to try this in the future. I could see myself doing that with chocolate or peanut butter. it would work so well with chocolate or peanut butter, great idea! Thanks so much Michelle, they were definitely meant to be fun, and tasty of course. This is so cute. I love the idea. Big congrats, Sara! I can still see myself eating the icing first on these cupcakes, as I generally do with regular ones. Upside down or not! Thanks gorgeous, next time I whip up a batch, will get some over to you and the tribe. Hope Miss9 is feeling much better by now. Shall check out the StellaRuby board!